If you are not satisfied with the quality of any product we sell, we will give you a gift card for the entire price of the product. 30 day time limit. Item must be unused. 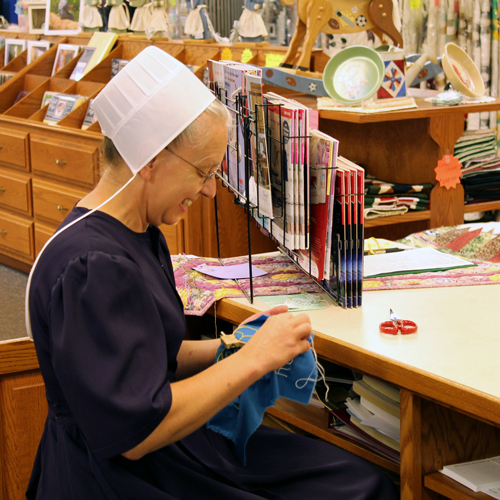 At Helping Hands Quilts, we celebrate Amish Country quilting traditions by offering a wide selection of quality fabric and products to the Berlin, OH area. Visit our shop and browse our varieties of pre-cut and bolted fabrics as well as carefully hand quilted items. Don't forget -- if you desire a custom-made quilt, we are happy to help create a piece you will love! 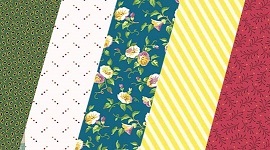 Coordinating Fabrics cut for you. We are happy to help both novice and experienced quilters find exactly what they need for a project. We can help customers determine how much fabric is needed to complete a project and make recommendations for color and pattern. 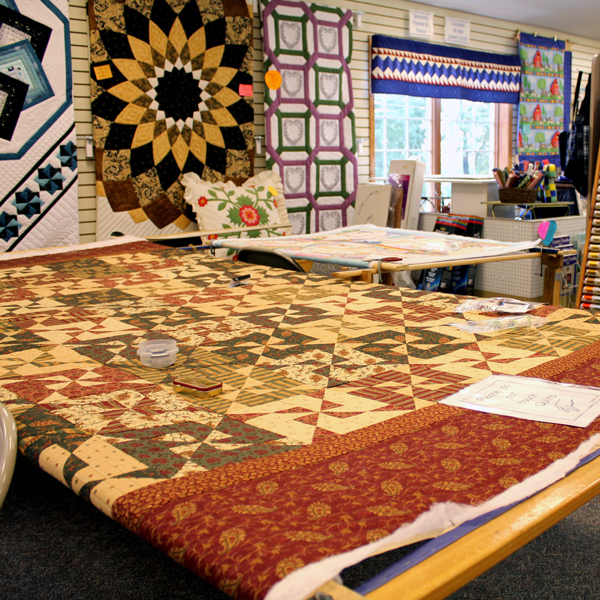 We also offer quilting classes for those desiring more guidance. How is a quilt created? Our quilters begin by cutting fabric into pieces and sewing them together in a pattern to create the quilt top. 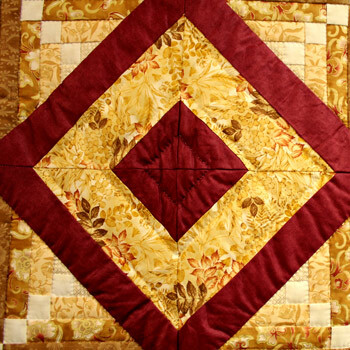 This process can be repeated for the back of the quilt if desired, but most often the back is made from one large piece of coordinating fabric. A batting is inserted between the front and back layers, which are then quilted together and completed by sewing long strips of fabric around the edges to bind them. What do "hand-quilted" and "hand-pieced" mean? We create our quilts from high quality 100% cotton quilting fabric in a rainbow of colors and patterns. How long does it take to sew a quilt? It would take one of our best quilters 3-4 months to hand sew a queen- or king-sized quilt if they worked full time on it.